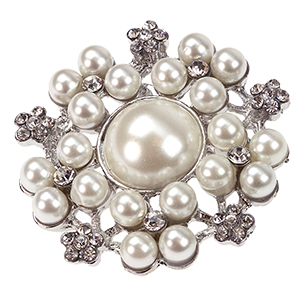 Our diamante brooches are available in varying sizes and designs to suit a wide range of DIY wedding styling projects. They're perfect for where you need a little sparkle on the 'Big Day' from DIY wedding stationery, bouquets, chair decorations, and wedding cake decorations through to your wedding favours and wedding jewellery. 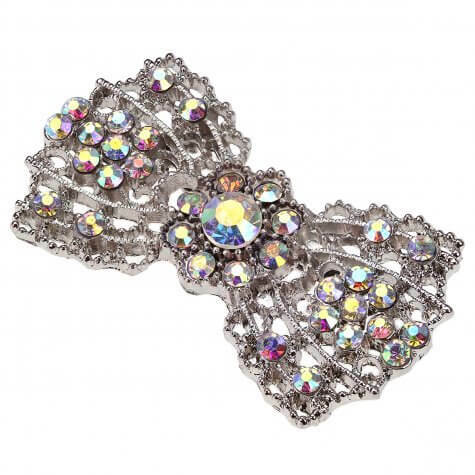 If you thought brooches were just for wearing as jewellery think again! Imagine receiving a stunning, hand-delivered wedding invitation presented in a box with a wide ribbon wrap and a beautiful brooch pinned on the top..gorgeous! Brooches are brilliant for all kinds of wedding stationery items, dramatic embellishments on table plans or table names and numbers, pinned onto ribbon tied round vases or even on wedding cakes! Larger brooches work really well on chair tie-backs (as do our gorgeous 'Decorative Fabric Flowers and Roses' that all come with clips or pins) adding stunning detail and embellishment. 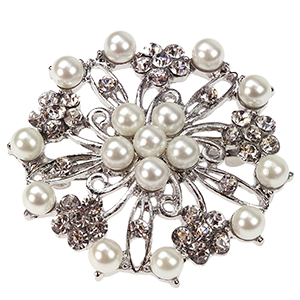 Of course, as jewellery, brooches make perfect favour gifts for the ladies and the majority of our beautiful brooches fit perfectly into traditional favour bags and boxes.